Brands, including Google and Amazon, show support for a 16-year-old's quest to break retweet record. 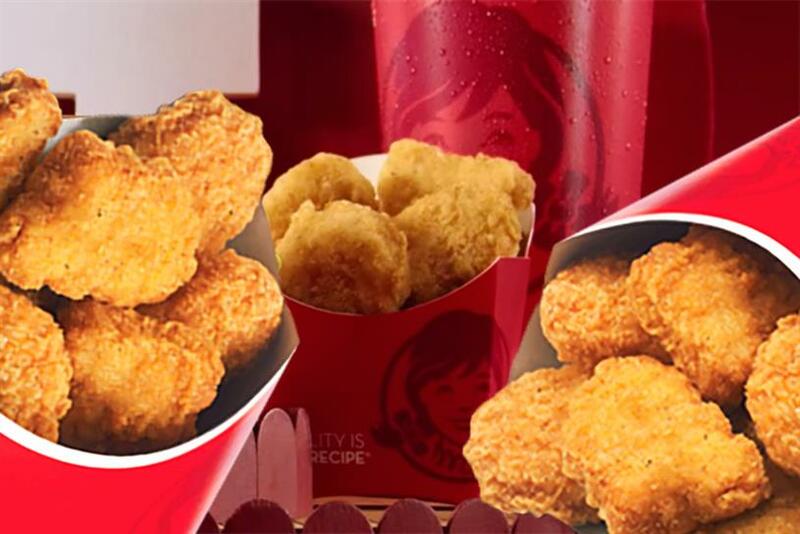 Wendy’s has struck a social media gold mine with a random challenge it gave one teen on Twitter. As it turns out, people will go a long way to help one hungry teen in his quest for free chicken nuggets. Last Wednesday, the fast food giant challenged 16-year-old Carter Wilkerson from Reno, Nevada, to collect 18 million retweets for a chance to win a year’s worth of free chicken nuggets. The boy tweeted out a plea for retweets and it took Twitter by storm. Now, the teen can count Apple, Microsoft, Google and Amazon as supporters. The contest began when Wilkerson tweeted Wendy’s asking, "how many retweets for a year of free chicken nuggets?" Wendy’s replied with "18 million," a number not easily reached considering that the most-retweeted message of all time belongs to Ellen DeGeneres’ 2014 Oscars selfie. Loaded with celebrities like Bradley Cooper and Jennifer Lawrence, DeGeneres’ tweet, taken during the Academy Awards ceremony, brought in 3.2 million retweets. But the unfazed teen retorted, "Consider it done." To win his tasty prize, Wilkerson needs 5.6 percent of Twitter’s 319 million daily active users to retweet him to reach 18 million. So far, he has 2.3 million, and still has a long way to go. On Friday, Apple Music, with its 9 million followers, was one of the first major brands to retweet Wilkerson. About 30 minutes later, Microsoft, touting 7.98 million followers, did as well, using the hashtag #NuggsForCarter. It wrote, "We’re in" and nudged Amazon and Google to do the same. Amazon, with 2.5 million followers, followed through, writing, "Live your best life, Carter. Follow your dreams." Google also joined the conversation, but even if every single one of the company’s 17.6 million followers retweeted Wilkenson, the teen would still need more. Other brands, such as United and Taco John's, are offering him more prizes if he hits the mark. John Legere, CEO of T-Mobile, told Wilkerson if he switched to the mobile carrier from AT&T, he would personally give him a year’s supply of Wendy’s chicken nuggets. Even Burger King, a direct competitor to Wendy’s, acknowledged Wilkerson’s viral tweet. Nuggets. Really makes you think, doesn’t it?